Make your spring vacation to Myrtle Beach all the more memorable with a night out at House of Blues. This national chain, focused on serving up delicious Southern cuisine and showcasing American music, truly brings new meaning to dinner and a show. Located at Barefoot Landing, House of Blues features national touring acts as well as lesser-known musicians that are equally as impressive. Some artists scheduled to perform this month include Walker Hayes on March 15, the Marshall Tucker Band on March 29 followed by Scotty McCreery the next night to make for a hefty dose of outstanding country music. April features Journey and Lynyrd Skynyrd tribute bands on the 5th and 12th of the month, respectively, and country music star Chase Rice is set to perform on April 13th. American rapper Gunna will be performing on May 2nd followed by a three-night concert series presented by Shinedown, a popular rock band. A Day to Remember is set to perform on June 21st to round out the exciting lineup of musicians soon to be at House of Blues. 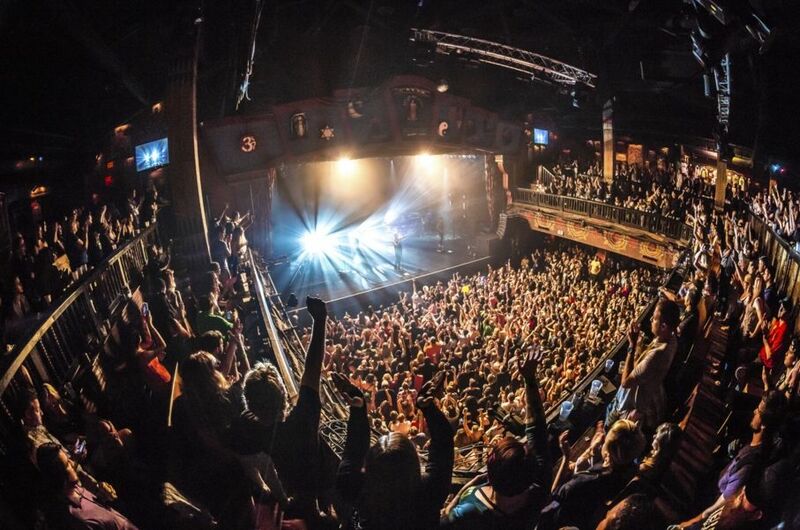 As one of the more intimate concert venues in the Myrtle Beach area, House of Blues offers a musical experience that all fans will appreciate. Be sure to try some of their signature Southern dishes while watching the show like the Voodoo Shrimp, the New Orleans inspired Jambalaya and the BBQ Brisket Nachos. Keep the night rockin’ with a stop at House of Blues’ bar to taste some of their original, music-inspired cocktails. The All Night Long, the Strawberry Fields, and the Beast of Bourbon are just as special as the songs for which they’re named. House of Blues also offers a Murder Mystery dinner show, an interactive and comedic “who dunnit” in which you’re not only a guest, you’re a suspect! The venue also hosts the world-famous Sunday Gospel Brunch featuring a Southern-inspired buffet as well as uplifting Gospel music performed live. No matter what the occasion, House of Blues is sure to make for an excellent addition to your itinerary. To purchase tickets to the show of your choosing or to learn more, please click here or call 843.272.3000. This entry was posted in Myrtle Beach entertainment, Myrtle Beach Restaurants. Bookmark the permalink.